Growing Meadows: Memory Monday - October? Did y'all notice that last week October happened? It totally snuck up on me. One of my favorite things to do on the weekend is hang out in my Memory Planner. It gives me a chance to reflect on the previous week, do some journaling and of course scratch the creative itch. I finished filling in my October month layout and decorated and journaled the weeks events. There are so many fun things in the works for my family this month. I am super excited to be doing my first workshop at the end of the month! I love using my stamps in my planner, too! 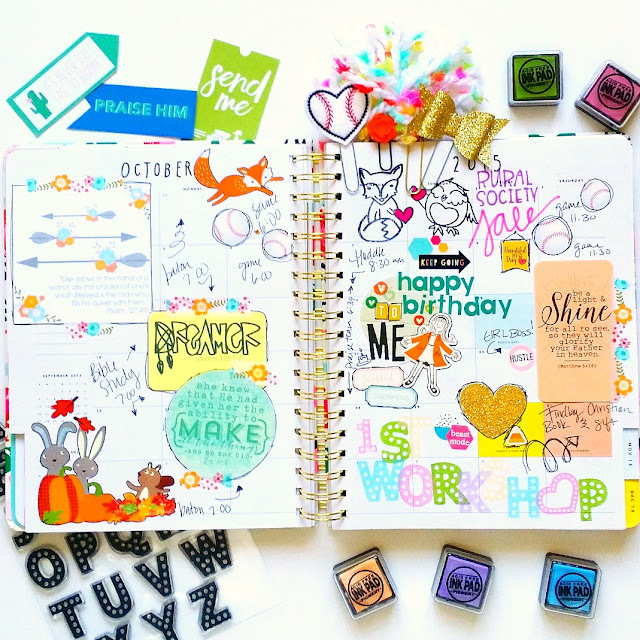 On this page I have used the Praise Him Stamp Set and the Rad Love Stamp Set from my shop. On the October Month layout I used the Marquee Alpha and Marquee Shape Stamp Sets. I think they worked perfectly to show my excitement about my upcoming workshop! I used the cute critters from the Doxology Stamp Set to add to some extra cute! This is so awesome!! So colorful and cheery! 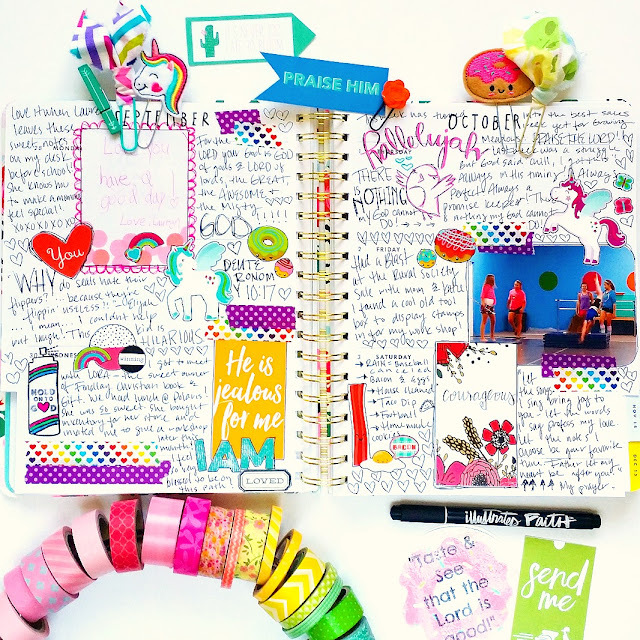 Followed your link from the fb journaling group!! Thanks for sharing!